What is the point of a dive watch? Well, it must measure elapsed time and be waterproof to a certain depth. It needs a strap or some apparatus to carry it where it is easily visible. It should be durable enough to withstand the bumps and scrapes inherent in diving. Some sort of illumination is necessary for darker environments. The development and widespread use of dive computers has made the dive watch into more of a back-up or secondary utility, but many still desire a dive watch not only for its usefulness, but perhaps also for its stylishness or as a status symbol. 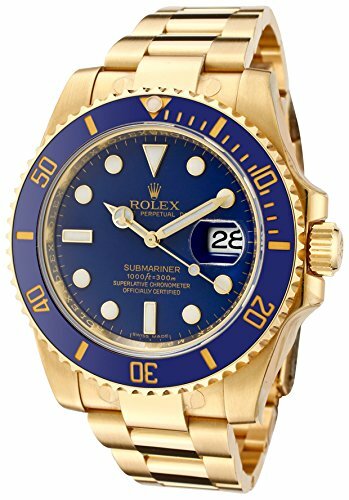 Scuba diving watches range from very cheap and simple, functional models to luxurious, extremely well crafted, beautiful, expensive works of art that can be worn anywhere. If water gets inside the watch, chances are it is ruined. 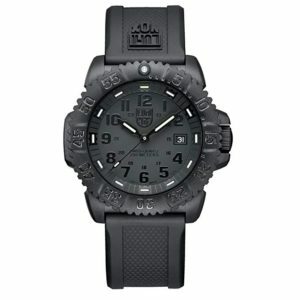 There are watches out there that describe themselves as waterproof or water resistant that are not suitable for scuba diving. You must ensure that your watch has been rated through testing to a depth of at least 100 m (330 ft). You will be unlikely to go that deep and it is a bit of overkill, but nonetheless a rating short of that will likely be suitable for the shower or swimming pool, but could well fail in deeper water. The resistance to water is created by the use of a gasket. This is a ring of rubber or a synthetic that forms a watertight seal to keep moisture out. A bezel enables you to calculate your elapsed dive time easily in a readily readable way. It should rotate in one direction only, counter-clockwise, making it less likely to be knocked out of line. The movement is what makes the watch work, moving the hands and keeping accurate time. It is also known as the caliber. Movements come in two varieties, mechanical and quartz. Mechanical movements are the traditional works developed by precision craftsmen over the centuries and exemplified by the great Swiss brand watches. Quartz movements came into prominence in the 70s with the introduction of the Japanese battery operated watches. These watches are accurate, require little maintenance and repair and are generally more affordable than those with mechanical movements. If you are wearing a diving watch, chances are people will notice and assume you are a diver. It can serve an icebreaker in getting a conversation started. If you sport an iconic Swiss diving watch, like a Rolex or one of the other well known classy brands, it represents a level of prestige. One note of caution: Flashing a very expensive watch in some of the apres-dive establishments where beverages are consumed in some locations in Mexico or Southeast Asia or elsewhere can lead to muggings and burglaries, so be careful. In darkness or low visibility luminescence will allow you to see the watch face. This can be achieved with a coating of luminescent paint or with tritium. Luminescent paint requires time in the light to recharge. Tritium doesn’t require being in the light first and tends to be brighter.